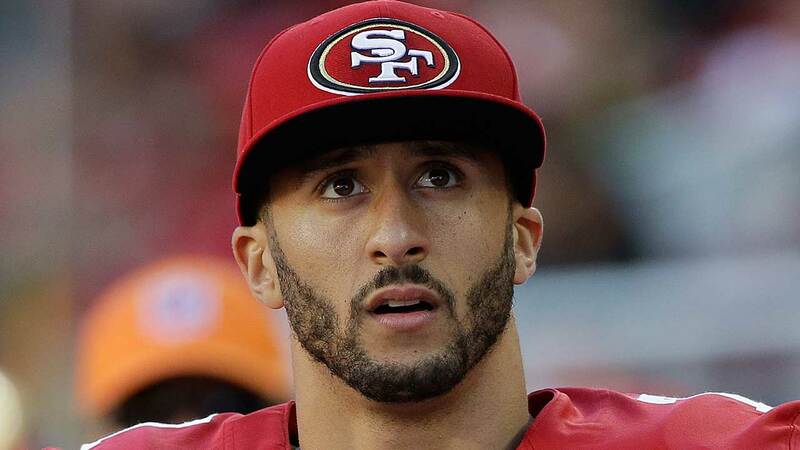 SANTA CLARA, CA (KTRK) -- San Francisco 49ers quarterback Colin Kaepernick says he refused to stand during the national anthem Friday due to his views on the country's treatment of racial minorities. "I am not going to stand up to show pride in a flag for a country that oppresses black people and people of color," Kaepernick told NFL Media after Friday's game. "To me, this is bigger than football and it would be selfish on my part to look the other way. There are bodies in the street and people getting paid leave and getting away with murder." The 49ers acknowledged in a statement that Kaepernick sat during the national anthem before their game against the Green Bay Packers.